Generally, there is actually no such thing as a ‘self-employed mortgage’. Whether you’re self-employed or an employee, the mortgages available are generally the same. We will however refer to these as ‘self-employed mortgages’, as the applicant is self-employed. The qualifying criteria for self-employed applicants are slightly different when compared to applicants who are employees. To add clarification, there used to be a self-certification mortgage where borrowers wouldn’t have to prove their income and would self-certify themselves in order to obtain a mortgage. Self-certification mortgages are no longer available, as they were particularly for individuals who were self-employed with unique circumstances. Self-certification mortgages were eventually abolished due to mortgage regulation as self-certification mortgages became more widely used than anticipated. This is because a lot of borrowers and lenders were using the self-certification method in cases which they weren’t originally designed for. There is a lot of misunderstanding in regards to the self-employed applying for a mortgage, however it is quite simple. The same mortgage products are available to borrowers, irrespective of how they’re employed. The only difference which self-employed borrowers can face is proving their income. Typically when filing end of year accounts, individuals are more likely to (legally) reduce income in order to pay less tax. On the other hand, showing a low income could work against you when applying for a mortgage. The contrast in this scenario is showing as less income as possible when filing your tax return, to showing the maximum income to your lender in order to get the most from your mortgage. Our advisors see this daily with self-employed applicants and are able to demonstrate any additional income to lenders, as this is something our advisors specialise in. How do I get a self-employed mortgage? Proving your income is your biggest asset when self-employed, as it shows the lender that you’re able to make mortgage payments. The majority of lenders will want to see at least 2 years’ accounts or tax returns, but this is not always the case. Take a look at what you’ll need below. Most lenders will request at least 2 years’ accounts, but there are lenders that can approve you a mortgage with accounts for just 1 year. Your accounts will be in the form a SA302. A SA302 is a self-assessment which is summarised by the HMRC in the form of a document. The SA302 document shows your income for the year, along with the tax you owed. Some lenders may request full company accounts, however it’s becoming increasingly common for lenders to accept SA302 documents to outline any declared annual income. If you don’t have an accountant, don’t worry. You can log on to the HMRC self-assessment portal and download the SA302 documents yourself with a few clicks of a button. If you’re unable to print these, you can also request them to be posted via the HMRC Self Assessment helpline on 0300 200 3310. Have your national insurance number and unique taxpayer reference (UTR) ready. Showing a lender that you have had a regular income while self-employed can demonstrate that you are not high risk. Furthermore, if you have a pipeline of future work which is documented (as it helps), then lenders are able to see that it isn’t likely you’ll be out of work anytime soon. Not all lenders will request an accountant, however some will. Some lenders prefer official chartered accountants to produce accounts for their self-employed applicants, as accounts can appear more secure and genuine. Whether you use an accountant or not, there are many lenders which may approve a self-employed mortgage without one. Just ensure your accounts are up to date before applying. If you have any other streams of income such as buy to let investments, this can also help to show lenders that you can meet the affordability of a mortgage. Lenders may request an AST (assured shorthold tenancy) for each buy to let investment you have, enabling them to see the extra income you’re receiving in addition to your self-employed income. Any income that you’re projected to earn (whether through work or investments) will always help to bolster your affordability and show you to be less risk to a lender. Other income streams could be from trusts, overseas income, bursaries, state pensions and more. The right broker is always able to show every part of the income you’re receiving without leaving anything out, as this is imperative to securing a self-employed mortgage. Having a sizeable deposit and good credit history will always help your application, but this isn’t necessary just because you’re self-employed. These are just 2 factors that can heavily influence the lender in approving your mortgage and can furthermore help a self-employed borrower. Even if you have bad credit, our expert mortgage advisors have years of experience in dealing with specialist bad credit mortgages and have the right lenders on board to facilitate mortgages of this nature. Read more: How to get a bad credit mortgage. Does my business structure matter? Business structures usually fall into one of three categories, which are Sole Traders, Limited Companies or a Partnership. Typically, your business structure will be taken into consideration by lenders. See below for a more detailed breakdown of each category. If you have a limited company, you’ll be more than aware that this is where your business and personal matters are generally kept separate. The structure of individuals in the company will typically be that of Directors and Company Secretaries. In terms of applying for a self-employed mortgage, lenders may look at your income in the form of a director salary or a dividend (or both), depending on how you take income from the business. Ensure the lender is made fully aware of all income you’re receiving from the business, irrespective of its form. Lenders may also look at the net profit but this is usually quite rare and only really done if there’s been a lot of finance left in the business or if there’s been a substantial business expense which is uncommon. Important: This is not the same as having a limited company created solely for a buy to let portfolio. If you’re a portfolio landlord with a limited company, please see our article on limited company mortgages. If you’re in a partnership with someone else, the profits are usually shared. This is obviously divided on how your partnership share is divided. It’s important to demonstrate to your lender what your exact share is, so your annual income is clearly visible to the lender. Being a sole trader is perhaps the most simple of business structures. Generally, a one-person business enables accounts to be kept quite simple, as all profits are retained by the sole trader. Ensure you have your profits in the form of an account and a SA302 to hand, as this will certainly demonstrate your income to lenders. Learn more about sole trader mortgages here. How much can I borrow if I’m self-employed? The majority of lenders will assess the affordability of a mortgage based on your net income or net profit. The way lenders calculate this figure varies. Some lenders will base the affordability on your most recent tax years’ declared income. Other lenders will calculate your affordability on an average of the past two years’ accounts (with some lenders basing it on an average of three years’ accounts). What you need to remember is each lender has different criteria to calculate income. It becomes more complex with limited companies, as directors may take a small salary and choose to retain a larger profit within the business. In this situation, it’s possible for employees of the business to obtain a mortgage easier than the company directors. In cases such as these, it’s vital to have a broker who can demonstrate this to a lender, as this could be the difference between being approved or being declined. Brokers will also be aware of the criteria each lender has, which enables brokers to target your application correctly by exploring your circumstances in detail. There isn’t just one typical way lenders will calculate how much you can borrow, however once they have assessed your income, the products you can borrow will be no different than to those of someone that’s employed. If you have no proof of income, there are certain lenders that can still offer a secured loan. It’s always up to the lender to lend responsibly and they will, as long as they’re satisfied the borrower will be able to make payments now and in the future. Every situation is different. If you’re struggling to prove your income, speak to an expert mortgage advisor to provide you with the best route to getting a mortgage. You may have accounts for just 1 year or have not yet filed accounts, however our advisors can work with lenders whose criteria is best suited. Our advisors have helped many self-employed applicants obtain mortgages and specialise in the below circumstances to help demonstrate your income to a lender. Can I use the help to buy scheme if I’m self-employed? If you’re self-employed and have at least three years’ accounts, then you’re likely to be approved a self-employed mortgage under the Help to Buy scheme. With three years’ accounts you’ll have a lot of flexibility in terms of which mortgages you’ll qualify for. 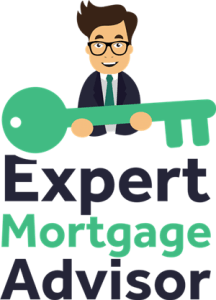 If you have two years’ accounts or less, then it does become more difficult under the Help to Buy scheme, however the right mortgage advisor may still be able to secure you a great mortgage. If you haven’t filed your first-year accounts yet, then in all honesty you will find it very difficult to obtain a mortgage. If you’re close to finalising your first tax year, our expert mortgage advisors can liaise with your accountant to establish the minimum amount you’ll need to declare in order to obtain the mortgage you need. Our advisors can then communicate this information to lenders that tend to accept this as part of their criteria. I’ve been declined a mortgage, what can I do? If you’ve been declined a self-employed mortgage, don’t worry and certainly don’t give up. There are many lenders within the market, which is again divided into different sectors with some lenders specialising in different types of finance. Just because one lender has declined you it doesn’t mean that they all will. Our expert mortgage advisors examine each situation carefully before exploring which lender they’ll place the application with. Also, by having the advantage of having access to the whole mortgage market, can work with more flexible lenders to maximise the chances of having your self-employed mortgage application approved. Our advisors speak to many applicants who have been declined by high street banks and we’re not surprised. 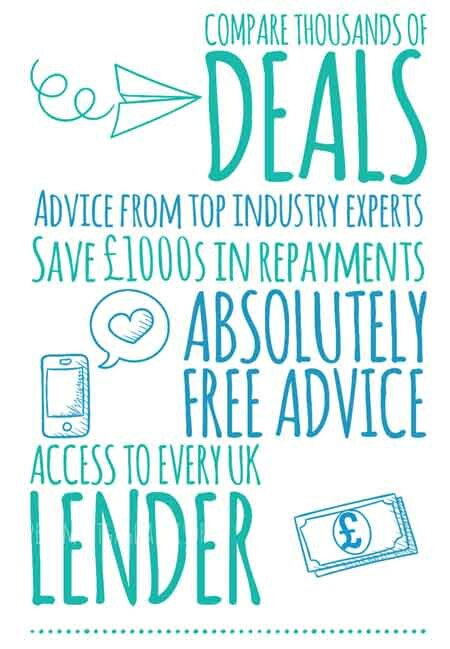 If you have a specialist situation, you’ll most likely need a broker with specialist knowledge who has access to lenders and products that high street banks don’t. You can call our advisors on 0800 195 0490 or you can make an online enquiry to ask our experts a question.